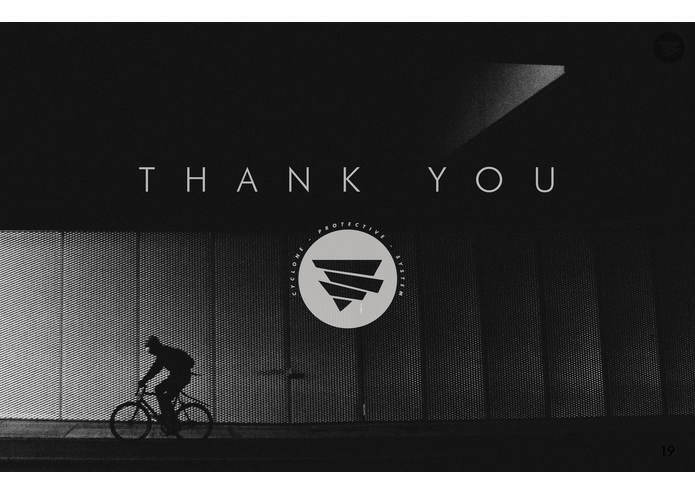 We were inspired by the numerous and increasing bike crashes that are happening today, particularly the bike crash death of a family friend of one of our team members. 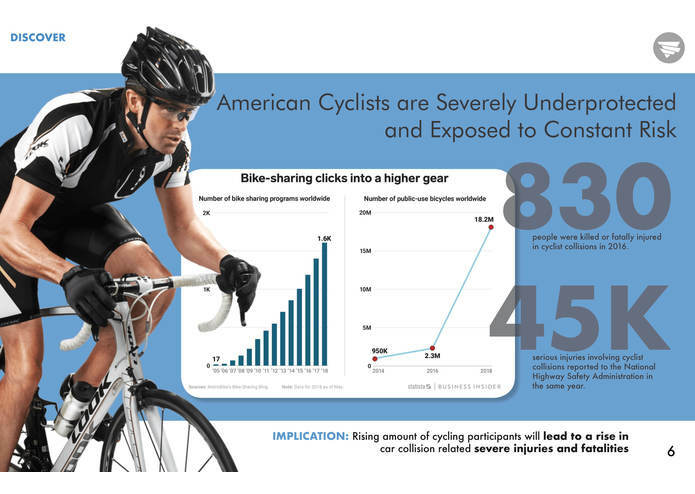 Even when wearing helmets, bikers are exposed and can easily gain extreme or fatal injuries. 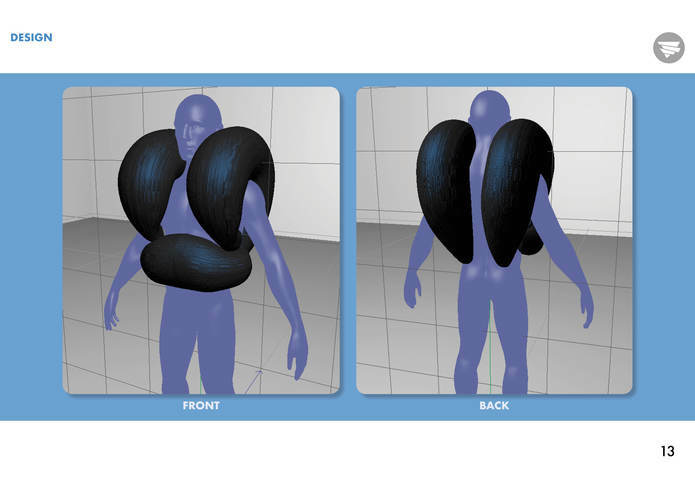 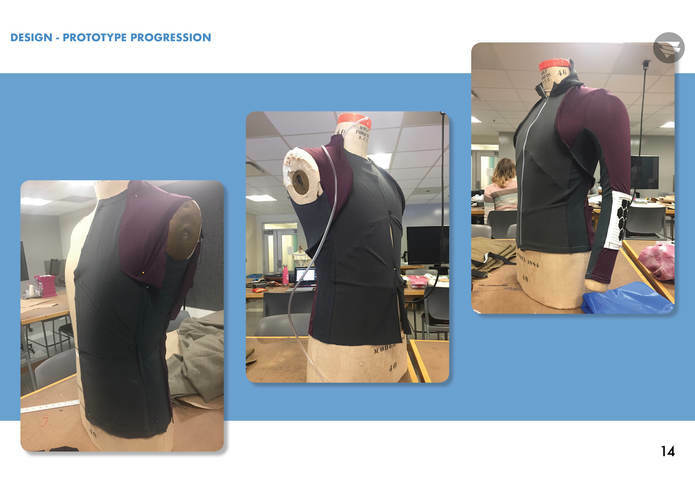 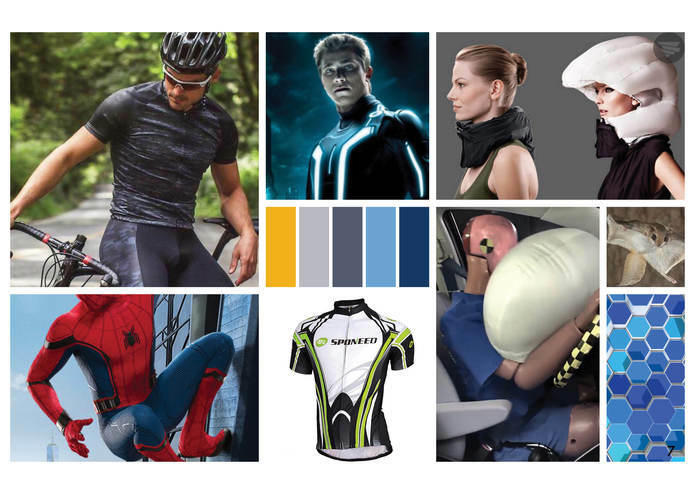 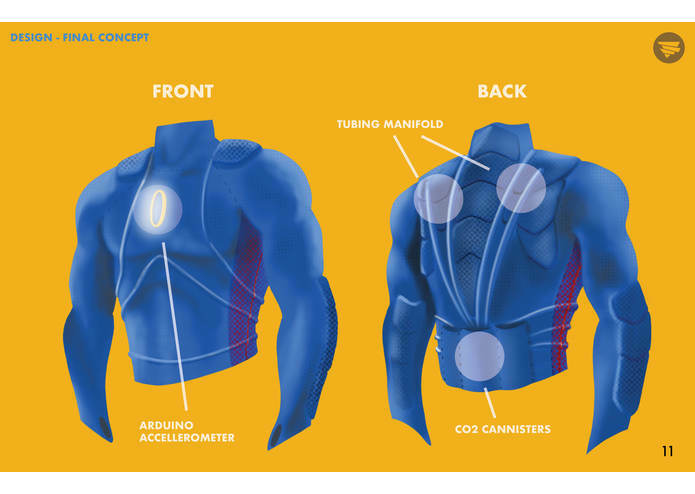 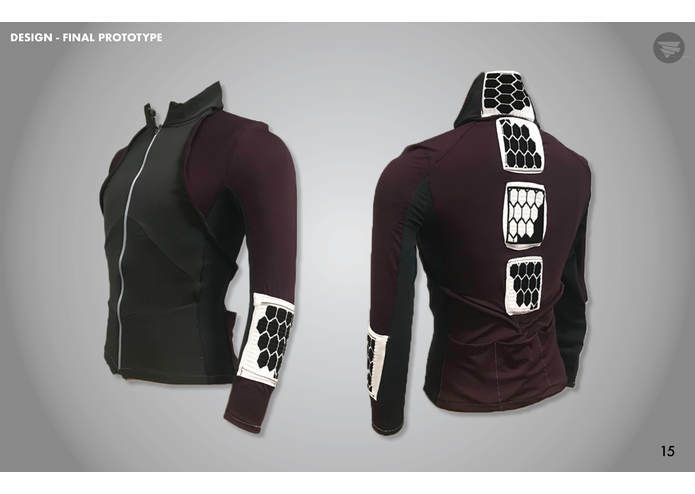 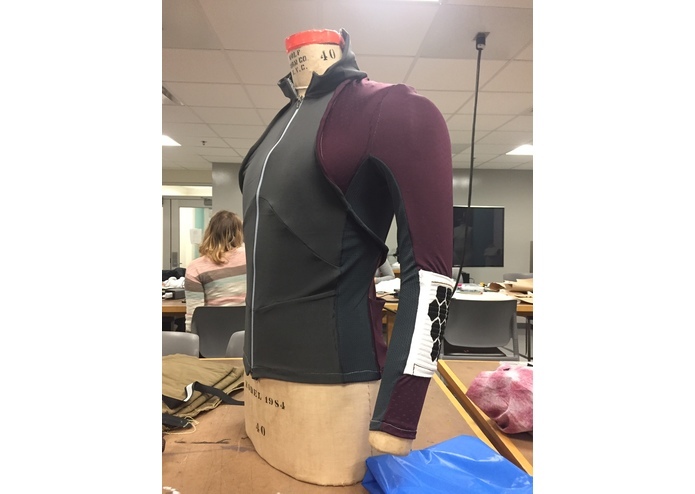 3D knitting patches reinforce the neck and spine for support, and an airbag system is run through the cycling jersey that activates with an accelerometer installed into the jersey. 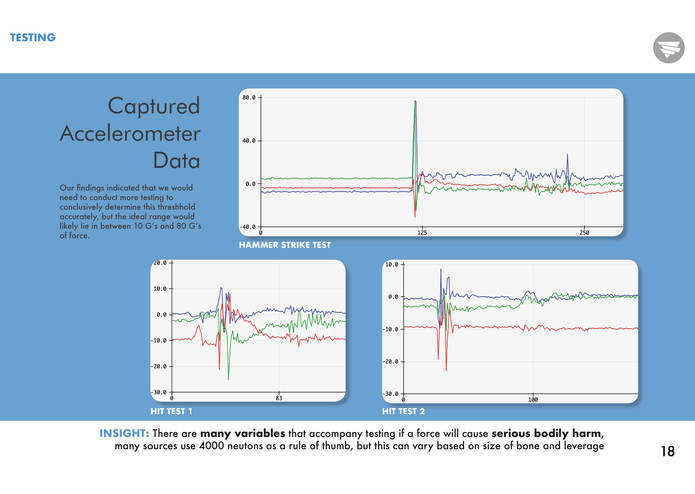 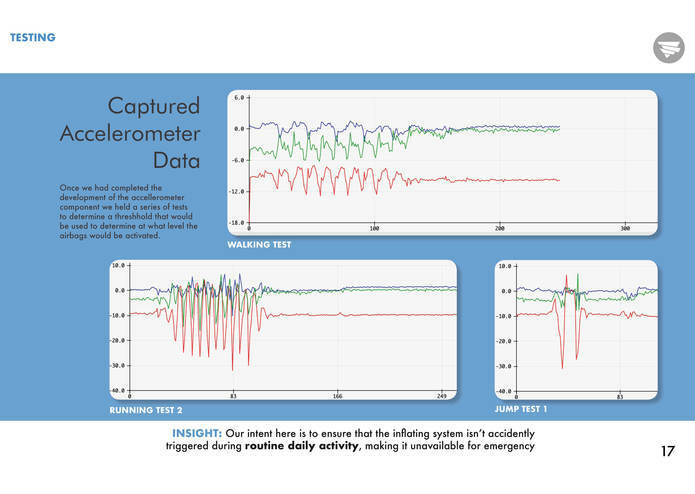 The accelerometer tracks speed, and activates when it detects harmful movement. 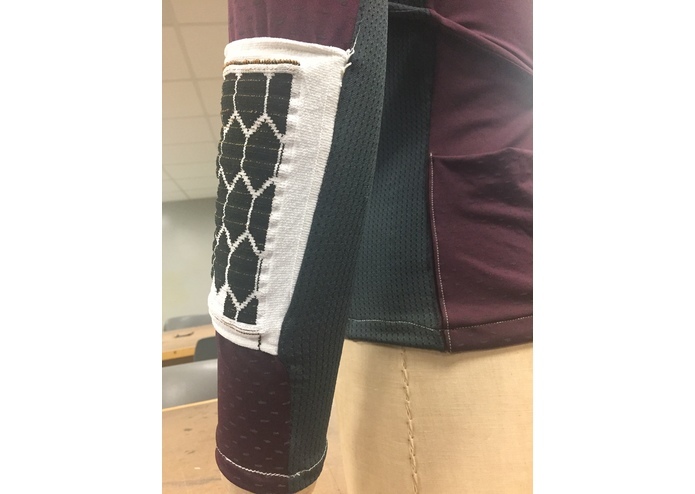 Airbag tubes are ran through french seams built into the jersey, hooking up to a small CO2 canister in the back pockets. 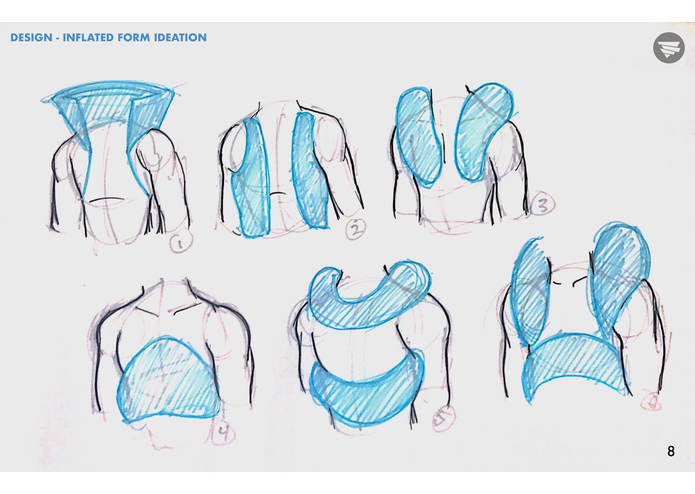 Seam placement allows the airbags to expand and burst through the seams upon a collision. 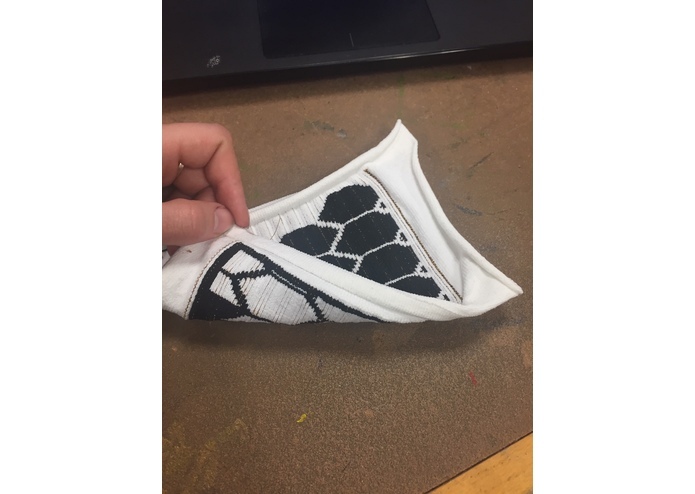 3D knit patches were installed both in seam and patched onto the jersey, made by Stoll industrial machines. 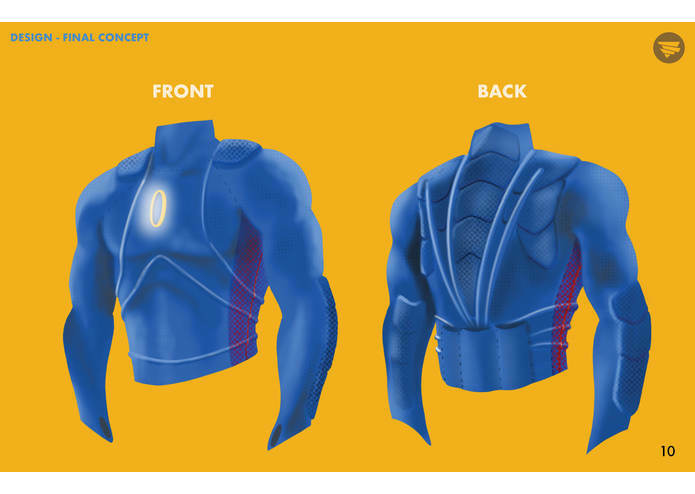 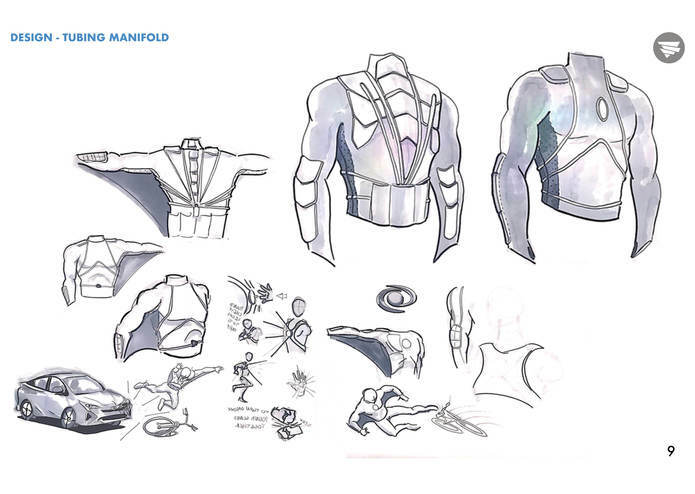 The Jersey was created draped directly on a form, inspired by Superhero suits. 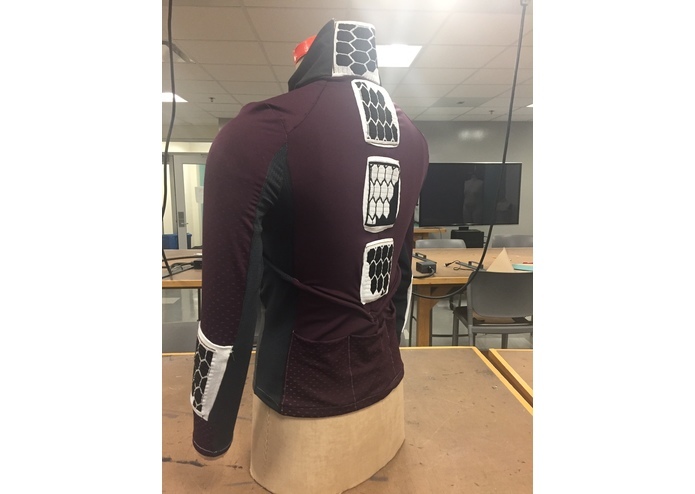 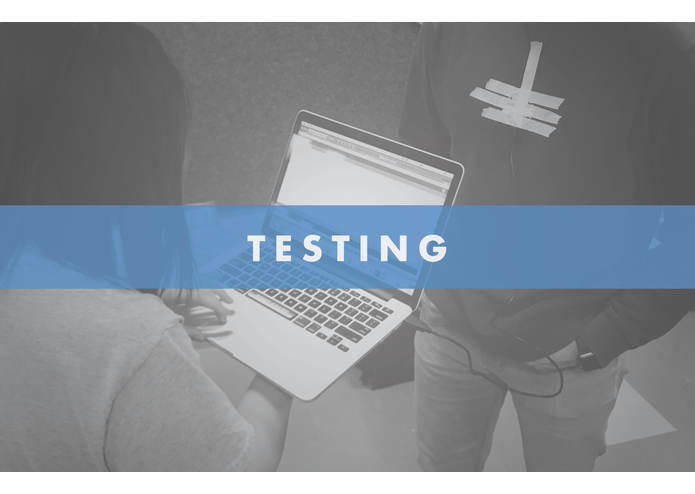 No team members had previous experience with accelerometers and coding, so there was a substantial learning curve to develop the technology for the jersey. 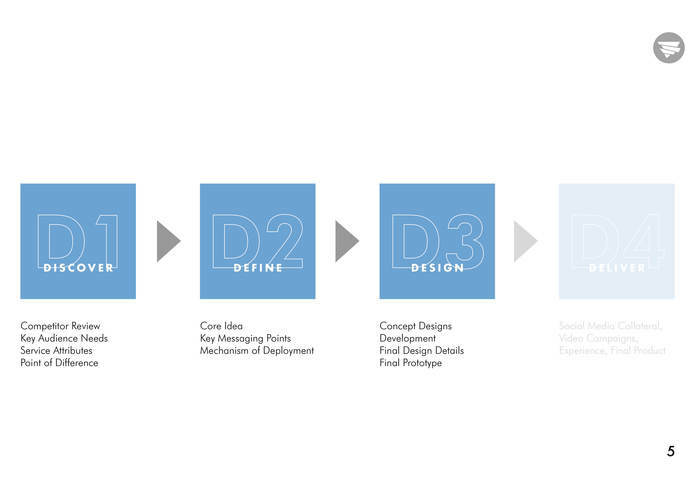 Working around the schedule of an in demand machine (Stoll knitting bed) within a small time frame also forced us to work around and adapt the original designs. 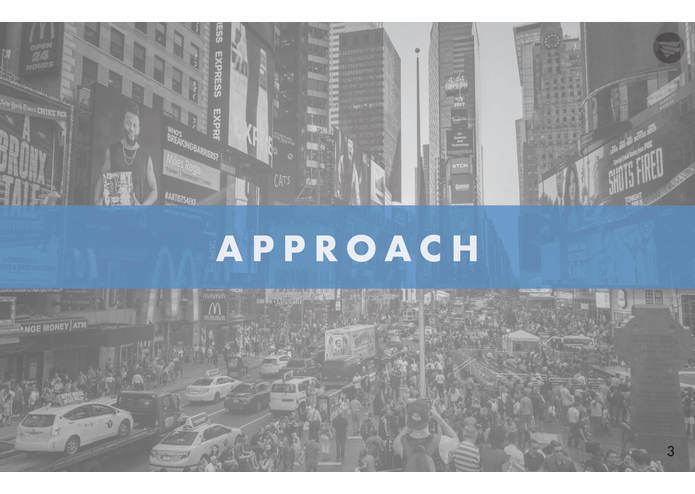 We are proud to be tackling a prevalent, everyday problem with a feasible solution. 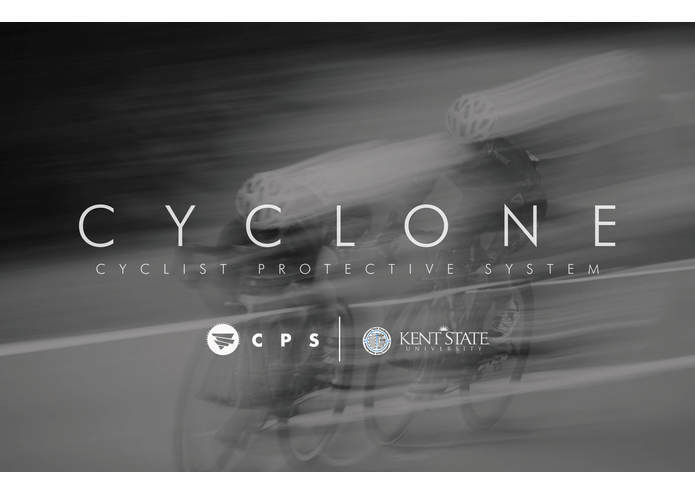 The cyclone, if developed and brought to market, could easily save many lives. 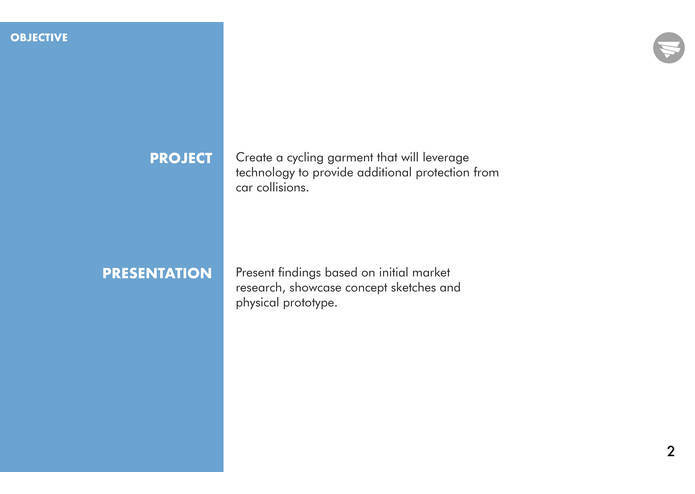 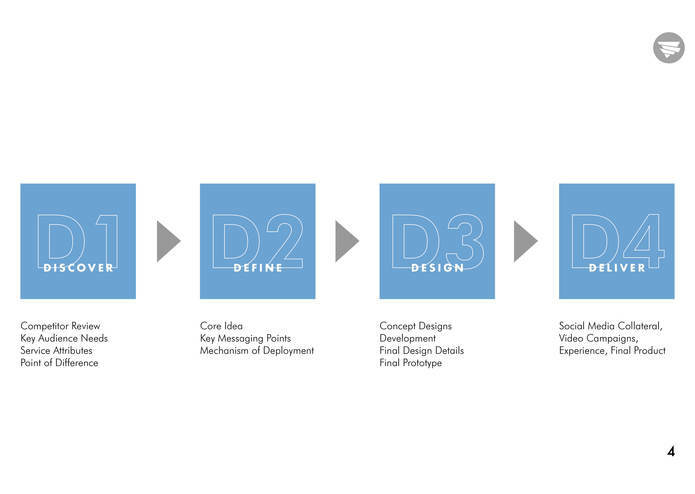 Presenting this in a visually appealing, well developed model is a large accomplishment for us. 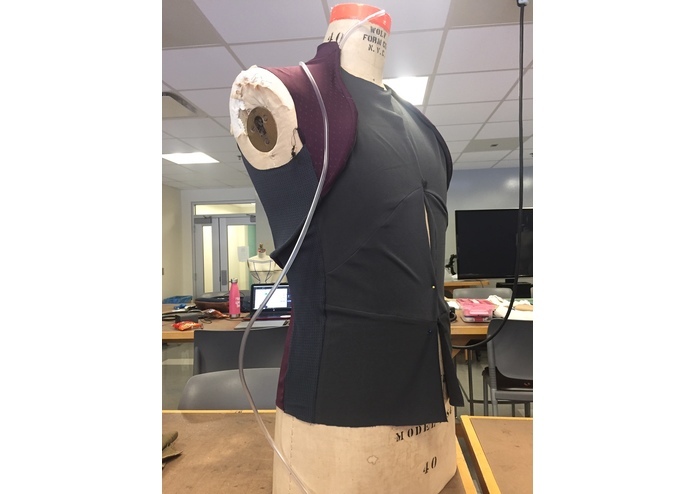 We learned how to better program sensors, understand plastic seaming, and how to work with individuals with diverse skill sets and professional backgrounds. 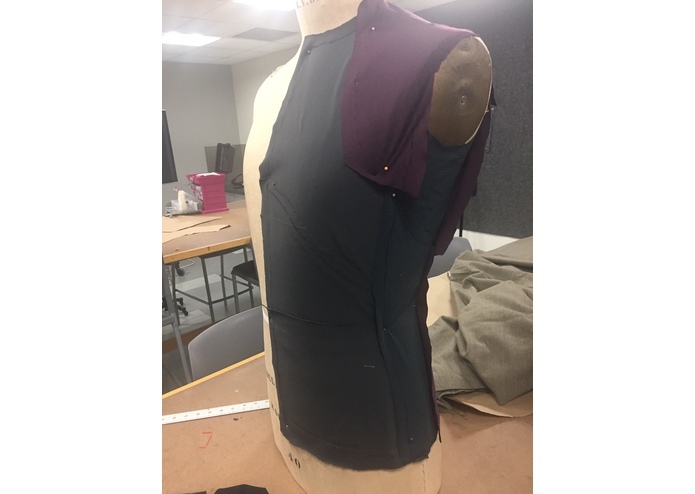 I drafted the pattern and fully constructed the prototype garment.